National social housing provider Stonewater has undertaken extensive revisions of its HR and payroll functions in collaboration with Nottingham-based MHR. Since its creation through the merger of housing associations Raglan and Jephson in 2015, Stonewater, which employs over 750 people and supports over 65,000 customers living in 31,500 homes, has embarked on an extensive programme of change to drive its business performance and deliver value for money to support its ambitious programme of providing 2,765 new homes by 2021. Jenny Sawyer, HR Director at Stonewater says: “Faced with a tough economic environment and the pressures of continuing welfare reform, it is essential that we maximise the value of our resources and adopt more digital methods of working in order to drive efficiency savings which we can reinvest in customer services and our housing development programme. MHR carried out a comprehensive strategic review of Stonewater’s HR and Payroll systems to identify areas of the in-house HR function that could be optimised via its hosted iTrent and outsourced payroll services. This included the digitalisation and automation of core work streams as part of Stonewater’s move towards a ‘digital by default’ model and ‘always on’ culture. Following the review, MHR started a three-phase transformation programme in November 2015. Phase one of the implementation project, which went live in 2016, included the migration of employees from the existing legacy system to iTrent and a single payroll solution, together with the introduction of new costing rules to support the implementation of MS Dynamics for the finance department, and the introduction of a new reporting system, Business Objects. Phase two of Stonewater’s transformation programme went live throughout 2017 and centred on improving data security and digitising employee-centric functions including online recruitment, employee on-boarding and Learning & Development. The phase also included the adoption of Enable Now – a comprehensive tool that provides the convenience to create bespoke training materials to support the knowledge transfer of system upgrades, enabling employees to access learning modules anytime. The third and final phase of the development, to be introduced later this year and in 2019, includes the introduction of best practice for Contract Variations and the automation of key HR processes for Absence & Attendance and Discipline & Grievance. 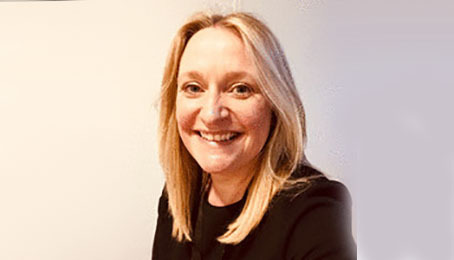 Jenny Sawyer adds: “The iTrent system is the engine of the HR department, enabling colleagues and managers to have the management control, accurate reporting and the visibility we need while empowering our workforce to take ownership of their work through self-service functionality. “Consistent and streamlined digital processes across all areas of HR and Payroll has greatly reduced the amount of labour intensive workloads resulting in more value-added work. Automation of the payroll process, for instance, has greatly reduced the number of people required to carry out manual corrections and calculate costing post payroll runs. “Meanwhile, the adoption of modern recruitment and training methods means we can improve the experience of applicants and employees, increasing our ability to attract and retain the best talent. This supports our commitment to delivering exceptional customer service and becoming a ‘first choice’ employer. Anton Roe, Chief Executive Officer at MHR comments: “We’re delighted to have supported Stonewater through their transformation journey. MHR is a specialist provider of integrated HR and Payroll services to a large number of housing associations across the UK, who collectively employ over 70,000 employees, helping them to improve their internal people processes so they can focus on delivering high quality housing services to customers.